This realistic looking stone well is a perfect feature for any outdoor space, as gardens, forests, backyards and venues. ♥ 10 static poses for taking wonderful pictures. 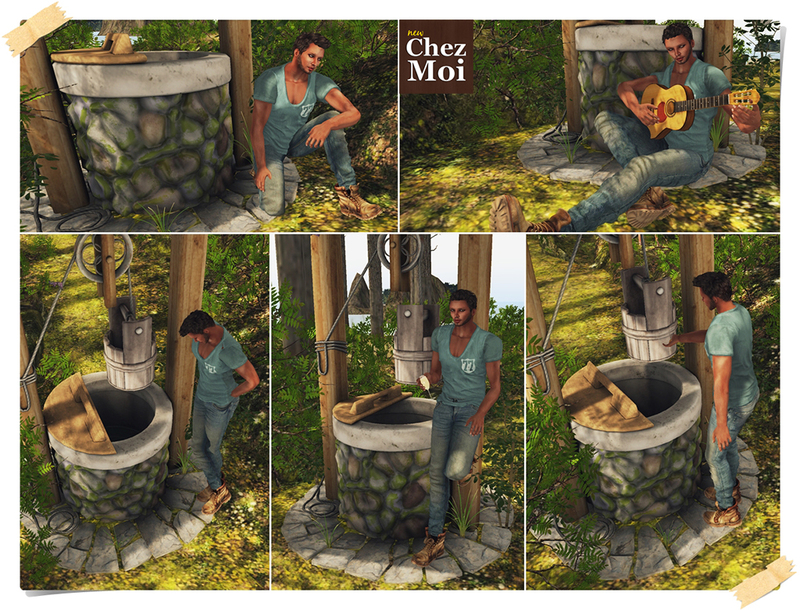 ♥ Several “wearable” and automatic Rezzing Props – attaches when an animations is chose. 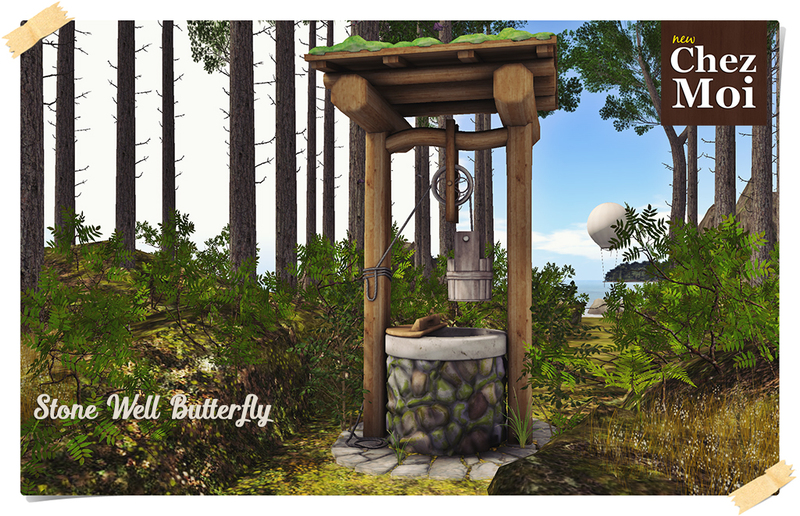 Adorable flying butterflies give a magical touch for the scene (optional). 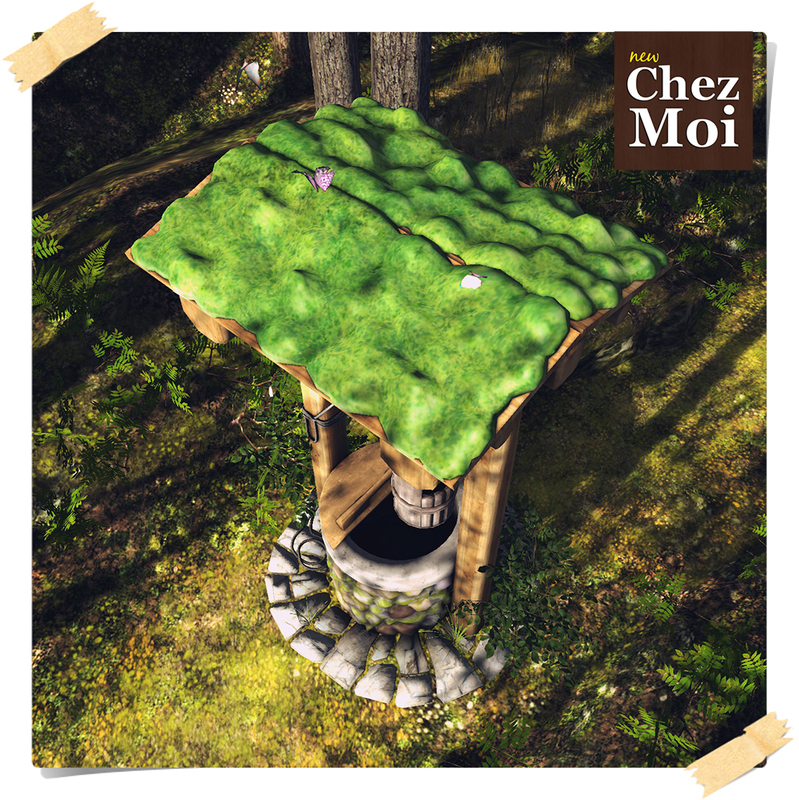 Available at CHEZ MOI MARKETPLACE, or for a closer look, visit our INWORLD MAINSTORE.